September 20, 2017 — Last week we learned that Pennsylvania’s uninsured rate (the percentage of residents lacking insurance) had fallen to 6.4%, far lower than the national average. That is a huge success for residents of the Commonwealth and a tribute to a lot of hard work by Governor Tom Wolf. Still, there are people who fall through the cracks of that system. The small group of uninsured people is often people at a high risk of adverse health outcomes. Undocumented immigrants in particular are often without insurance and find accessing health care to be difficult or scary. Yesterday, the Berks County Medical Society and the Community Foundation held a meeting with an amazingly broad group of organizations who work to provide free, accessible health care to people here in our community. Most of these organizations rely heavily on volunteer services and most are dependent, at least in part, on donations. Bill Sheeler, a senior fellow here at the Community Foundation, did most of the work in arranging this meeting, the first of its type. 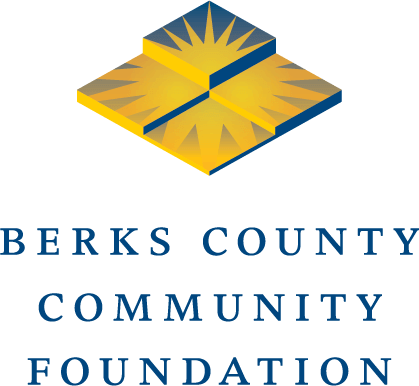 The Berks Community Health Center is a federally funded comprehensive health care system operating at three locations in the City of Reading. Founded in 2012, it is growing fast and treats patients regardless of their ability to pay or their immigration status. Its CEO, Mary Kargbo, shared that a second federally qualified clinic, Keystone Health, also operates in the county, serving primarily migrant workers in our rural areas. Reading Health System provides a relatively new Street Medicine program. Through this program, teams of doctors and nurses seek out the homeless, even visiting tent encampments, to deliver basic but vitally needed health care. Faith Care, a Connecticut-based nonprofit, provides a free, volunteer-staffed, health clinic one day each month at Transform Church with hopes of expanding that with more volunteers. The largest and oldest of the mostly-volunteer organizations is the 15-year-old Western Berks Free Medical Clinic at St. Daniel’s Lutheran Church in Robesonia. Most of the patients there actually come from the City of Reading and, last year, they handled 600 visits. Adventist WholeHealth Network was formed with the proceeds of the sale of the old Reading Rehabilitation Hospital. They’ve recently hired a new executive director who is repositioning the organization to focus on helping churches of all denominations learn how to emphasize and support wellness within their congregations. In downtown Reading, Penn State Health provides a vast array of health and wellness services at its campus at Sixth and Walnut streets. Penn State is planning ways to make those services even more accessible to city residents and provides charity care throughout its system for the uninsured. Like the others, they provide care without regard to immigration status. We were also joined by Matilde Sotomayor, a doctor in private practice in the city. She is reaching out to city churches to explore ways of encouraging parishioners to take advantage of the health care opportunities in the area. I was struck by the dedication of the participants in that meeting. In many cases, they provide care to our most difficult-to-treat residents and handle very complex cases in less than optimal conditions. Challenges in hiring paid health care professionals, particularly family practice doctors, given a national shortage. Difficulties in attracting and retaining medical professionals willing to volunteer their time. The need for additional funding. The need to encourage undocumented families to access their services and not be afraid of deportation. There are a lot of good things about Berks County. The wide array of free and accessible health care options is one of them. We haven’t reached perfection, but these are groups and programs of which we should all be very proud.